إذا كنت تبحث عن عقار بموقع جيد في المدينة، فقد وجدت ضالتك في شقق آبي أو روما . يقع الفندق على بعد 0 km من مركز المدينة، ويؤمن الوصول إلى أهم مراكز المدينة. يقع هذا الفندق الحديث على مسافة قريبة من المعالم السياحية الشهيرة. إن الخدمات الممتازة وحسن الضيافة العالي في شقق آبي أو روما تجعل إقامتك تجربة لا تنسى. إن مرافق مخصصة لذوي الاحتياجات الخاصة, تسجيل وصول/خروج سريع, تخزين الأمتعة, واي فاي في المناطق العامة, صف السيارات هي جزء فقط من الخدمات التي تميز شقق آبي أو روما عن باقي الفنادق في المدينة. لقد جهزت هذه الإقامة الفندقية بعناية فائقة لتوفر مستوى عالي من الراحة. في بعض الغرف يجد النزيل تلفزيون بشاشة مسطحة, قهوة فورية مجانية, شاي مجاني, مرآة, كاشف دخان. كما أن مجموعة الخدمات الواسعة الموجودة في الفندق لضمان راحتك تترك لك الكثير من الخيارات لقضاء وقتك أثناء فترة إقامتك. إن شقق آبي أو روما هو مكان مثالي للمسافرين الذين يتطلعون إلى الراحة والاستجمام في المدينة. ينبغي تقديم بطاقة ائتمان كسند تأمين، وكذلك ينبغي تسديد أي رسوم عارضة عند تسجيل الوصول. السندات النقدية غير مقبولة. يتم خصم رسم إضافي بنسبة 1.98% على جميع معاملات البطاقة الائتمانية أمريكان إكسبرس. تبدأ ساعات العمل من الساعة 07:00 صباحًا إلى الساعة 07:00 مساءً في أيام الأسبوع العادية، ومن الساعة 08:00 صباحًا إلى الساعة 06:00 مساءً في أيام عطلات الأسبوع. Stayed here a few times, reasonable rate, next to Roma St station, some appartments are better than others, central to everything in the city. Minor fault is the curtains ... they are nice but are not quite big enough to block out the light for the best sleep. i found the room clean, the bed very comfortable. i used my own wireless internet service rather than the day inhouse service. the pool looked ok but i did not have time to use it. there was a great cafe downstairs for bargain breakfast & coffee. only thing missing was a gym. 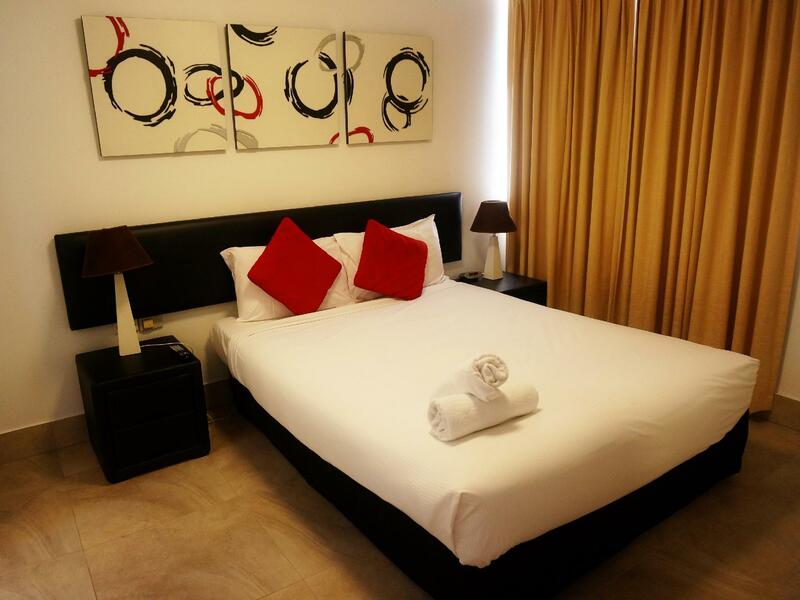 Pros: All suites, relatively well-equipped kitchen, laundry in room, free wifi, relatively quiet. Cons: Dirty sheets, poor maintenance, very short reception hours. No shower curtain in my room. Phone didn't work. I didn't try the pool, jacuzzi, or sauna, but I heard they are not great. Overall in this area I think you can get comparable places for much less; or much better places for a comparable price. 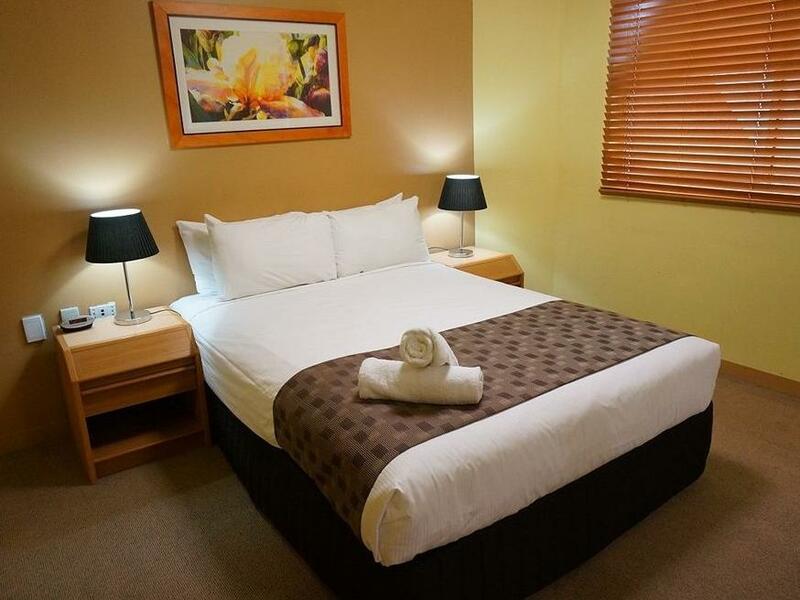 This is not a very clean hotel, rooms are a bit dated and i must say i got eaten alive by bed bugs, cheap to stay at and its opposite Roma Street station but because of the bedbugs issue i would not stay here again. Great location for an overnight in Brisbane. Across the road from Roma St Station and a short walk into the city. Fabulous spot for breakfast below which is independent of the apartment, opens at 5:30. Apartment required maintenance. As expected for the cheapest option available - good amenities in kitchen. However we were there for 4 days and never had cleaners through for some reason? We ran out of toiletries on day 2... Location is great, within walking distance of Queen St. Have stayed here twice before, but will be paying for the better room next time as this one was dark and run down. Proximity to transit centre. Very clean with everything required for a short stay. Needs washers looked at, especially the cold tap over the vanity basin in the bathroom. It is still usable but would certainly increase your water bill over time. 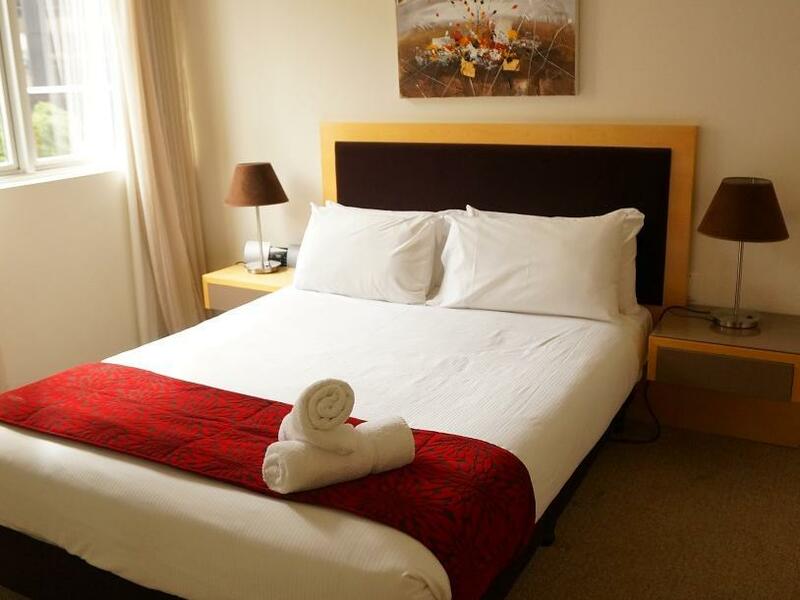 Excellent accommodation, great spot easy to get to Train station right across the road. Fantastic little coffee shop come restaurant under the apartments. We asked for a room with views and up high, they gave us the top floor couldn't ask for more. Had an issue wit the kitchen tap that fixed ASAP. It does cost to park your car in their parking area, but it costs no matter what hotel/motel you stay in the city. Short walk to the city, train to park road Milton for our Anniversary Dinner, walked to the Barracks Palace Theatre only up the road. Police station right over the street to make you feel even safer. Definitely would recommended others to use these facilities. Clean, comfortable, fairly spacious, very convenient if u catching trains to get around. I checked in and checked out after hours, and it was a breeze. Compliments to the after hours staff for her efficiency and promptness. Staff was helpful. 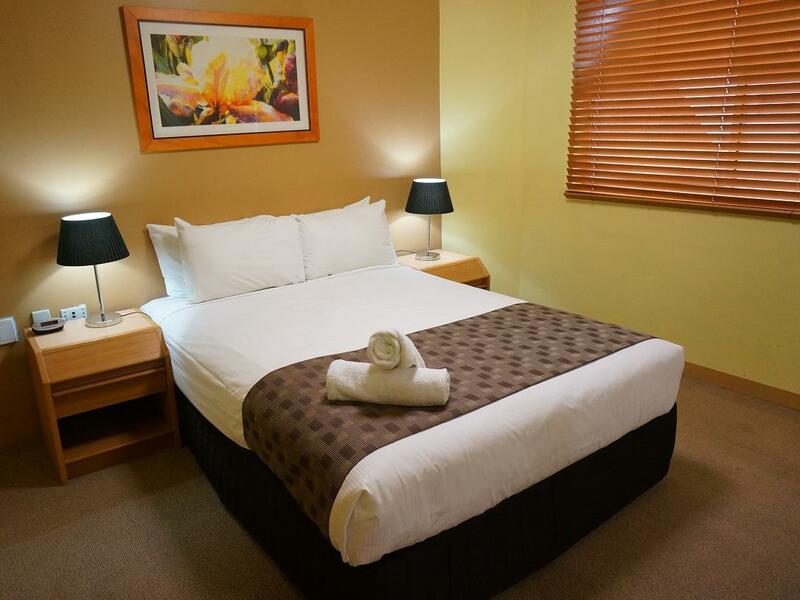 Location is right next to the train station across the road so super easy access to the airport for AUD 15/20. Had parking but you would need to pay $20 for the overnight use. The balcony views were great - the hotel is laid out like a self contained unit with kitchen. Definitely would stay here again.